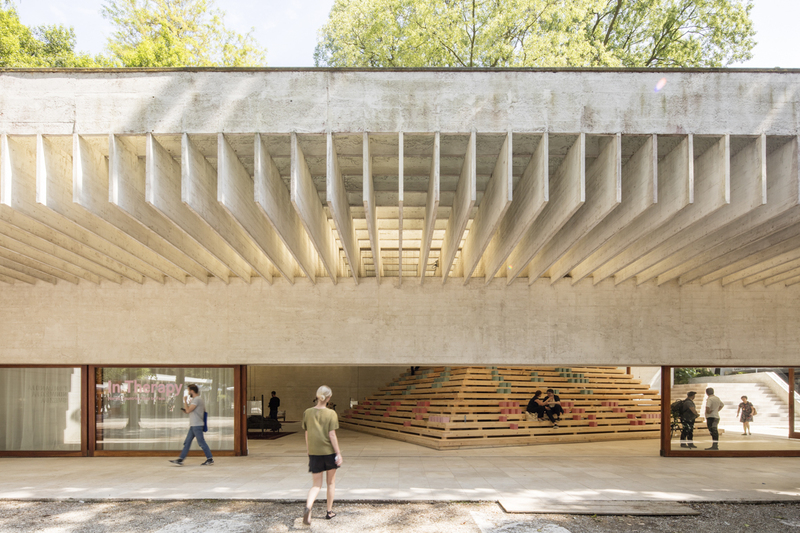 In Therapy: Nordic Countries Face to Face utilised the Nordic Pavilion, an exhibition hall designed by the Norwegian architect Sverre Fehn for the Biennale di Venezia in 1962, as a civic extension of the Giardini. 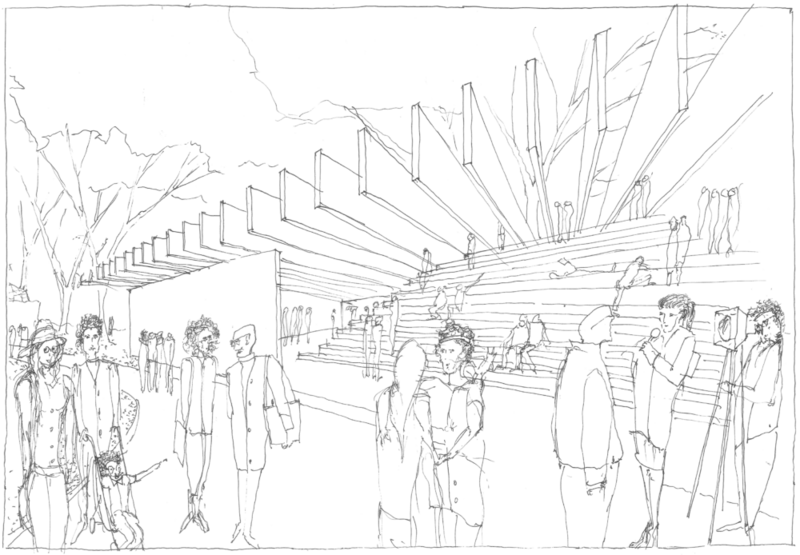 The central installation of the exhibition—a truncated step-pyramid, or ziggurat, built with pine and using traditional Swedish wood construction techniques—attempted to frame the charged narrative of the pavilion by way of radical spatial occupation, as an inhabitable display, and through the temporary insertion of a profile amphitheatre. 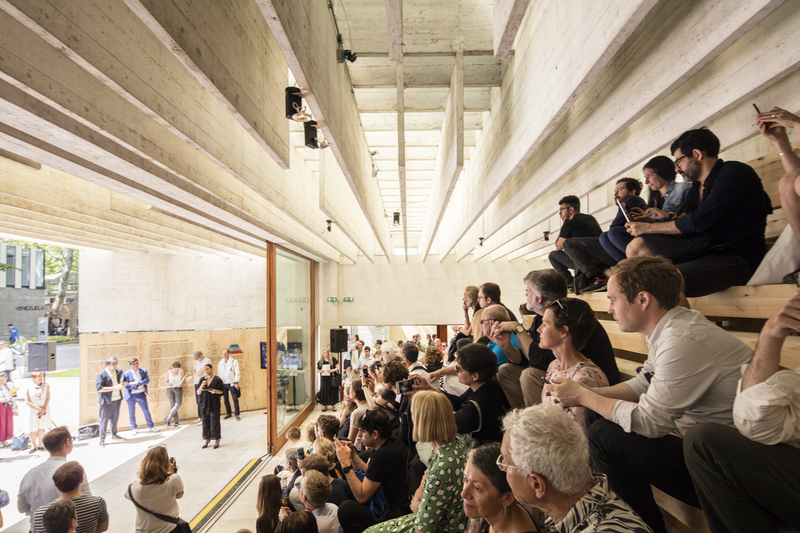 Seeking to distance itself from the historic weight of the space by way of tectonic play, the exhibition—displayed on paper and on screen—offered visitors an impression of the state of contemporary built Nordic architecture over a nine year timespan. 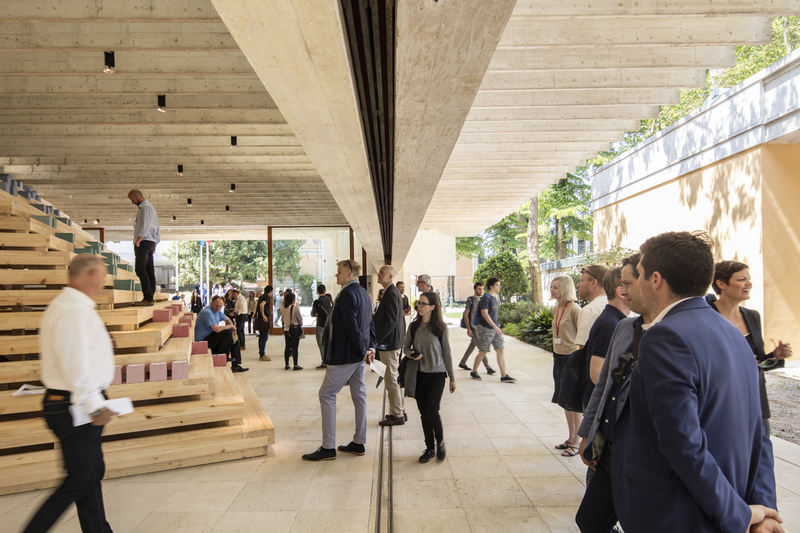 Here fundamental questions were raised as provocations: How has Nordic architecture (Finnish, Norwegian, and Swedish) developed over the preceding nine years? Which threads tie them together and what unifying direction, if any, might be discerned? In Therapy did not demand the visitors’ full attention as much as it did not seek to deliver its messages all at once. 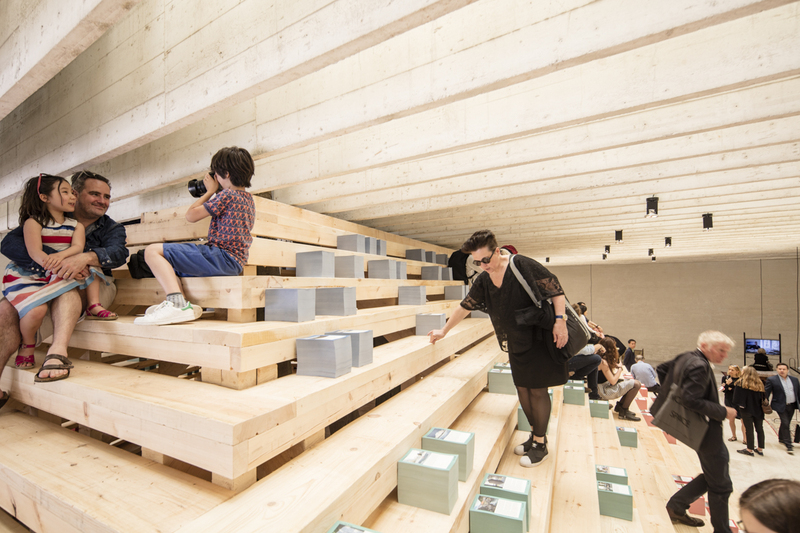 It aspired to deflect the monotony of the archetypal ‘stand-and-look’ show by creating a clearing amid the congestion of the Biennale; a space in which visitors were able to pause, absorb, and reflect on the material that had been gathered and the voices convened. The ziggurat, shaped and engineered by Marge Arkitekter (Stockholm), behaved as an urban artifact as well as a display; an inhabitable installation and an invitation for investigation. It was felt that architecture, at least in the form and quantity that had been convened here, would best experienced in a state of distraction. 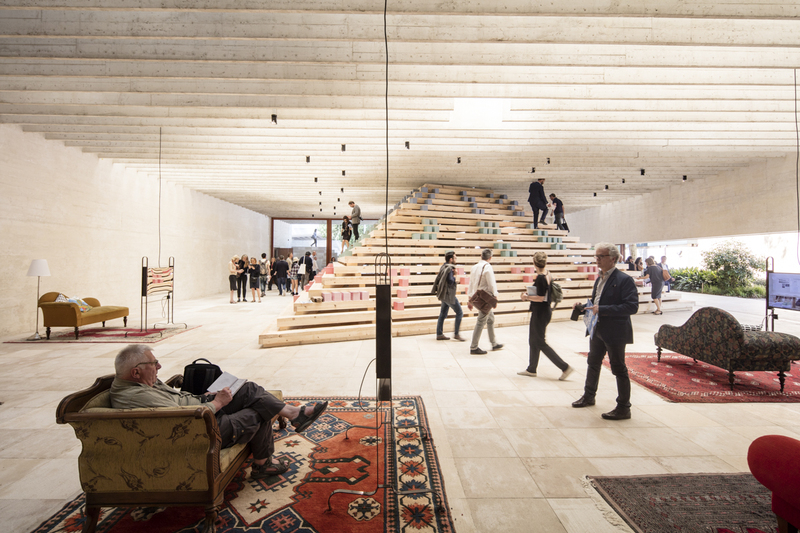 The ziggurat held responses to an open call, inviting architecture practices from around the world to submit built projects they had realised in the Nordic nations between 2008 and 2016. Each submission was self-categorised as either Foundational (architecture that cares for society’s basic needs, and presented in red), related to Belonging (architecture which enacts public programs and creates public spaces, enabling people to become citizens, presented in green), or in a state of Recognition (architecture in a position to appreciate and reflect upon the values of Nordic society, presented in blue). Each practice was invited to indicate how their project has—or, indeed, has not—contributed to the present condition of Finnish, Norwegian, or Swedish society in order to construct a broadly accurate picture of a condition. This tripartite classification was based on an interpretative take on the structure of psychologist Abraham Maslow’s “Hierarchy of Needs” (1954), a theorised system outlining the basic and complex motivational ‘needs’ which represent the progress of the individual in society. Maslow described the pinnacle of the hierarchy, which he diagrammed as a pyramid, as ‘self-actualisation’ – the realisation of one’s full potential, achievable once all the ‘needs’ which underpin it have been satisfied. 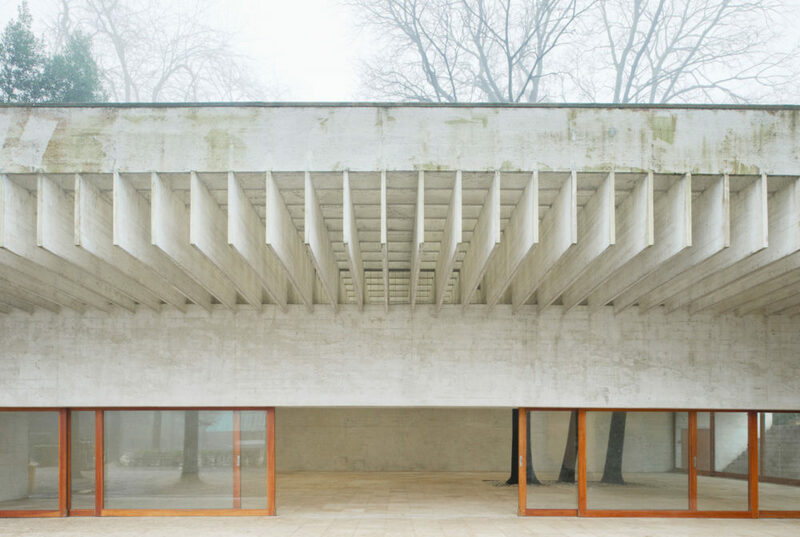 A central impetus behind In Therapy was in the acknowledgment of the “ghosts” of Nordic architecture – those architects, theorists, and educators who have, and continue to, exert a profound influence on contemporary practice and pedagogy at home and abroad. 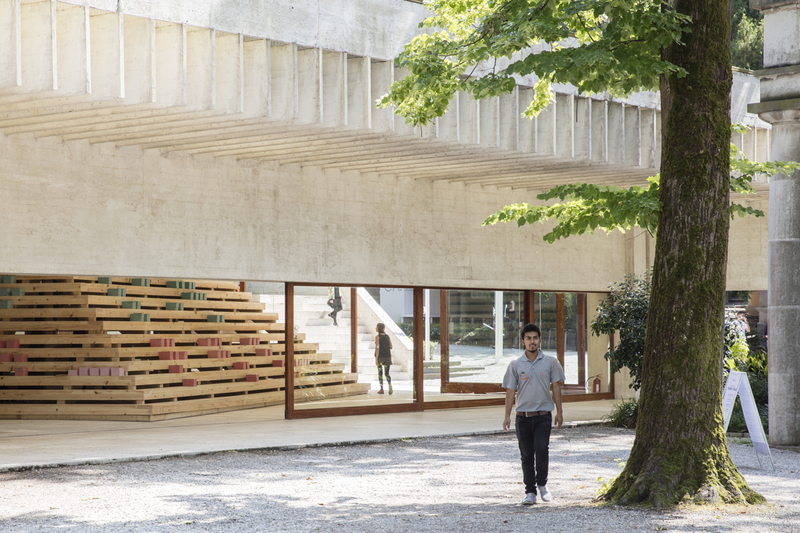 This exhibition aimed to address an acute challenge faced by Finnish, Norwegians and Swedish architects today (consciously or otherwise): How can a contemporary architectural project exist in a dialogue with its setting when that setting is so charged? 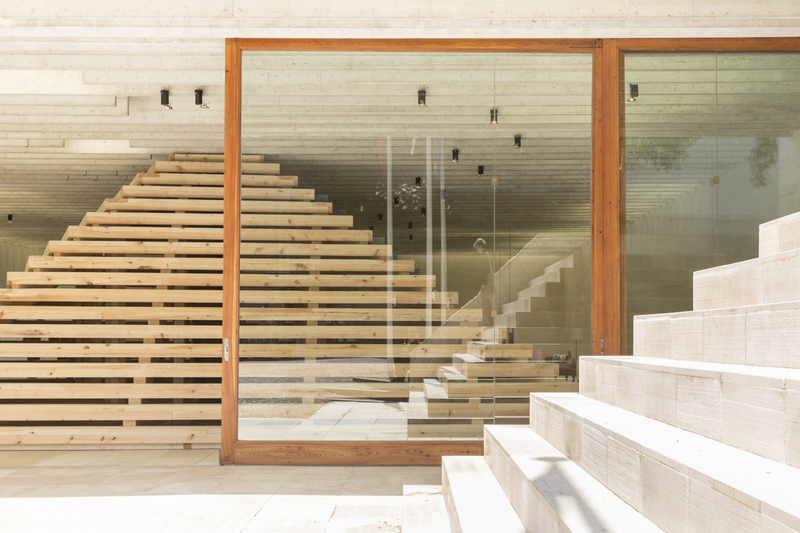 How might architecture occupy a legacy while at the same time harnessing it for today? 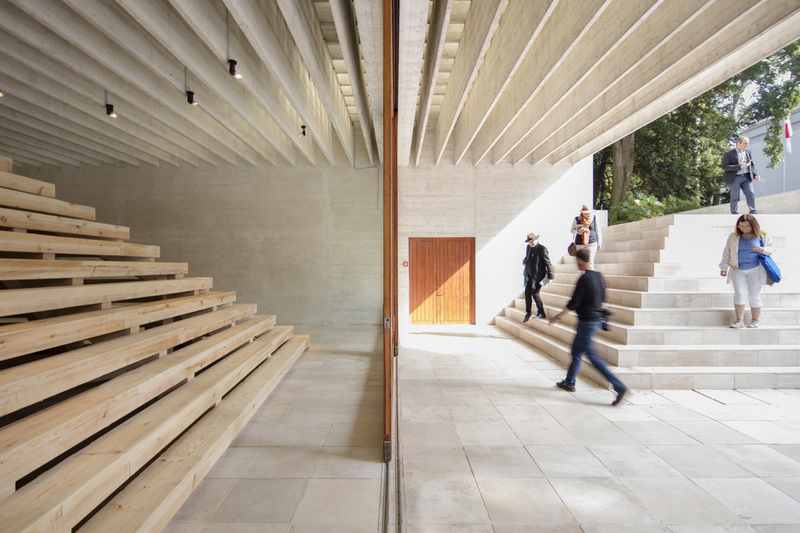 In Therapy offered a provocation – a collection of installations which presented the breadth of contemporary Nordic architecture, assembled under one roof, in order to set up a framework for conversation and proposition. 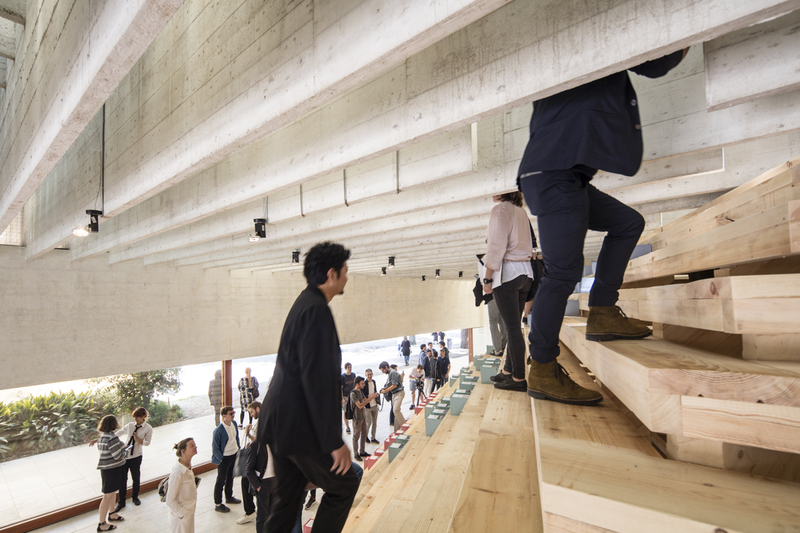 It positioned Finland, Norway and Sweden—three countries with distinct histories, cultures, and attitudes to design—face to face in the context of the compressed world of the Biennale, interrogating perceptions and preconceptions of Nordic architecture by openly addressing its built manifestation. Read Alice Bah Kunke’s (Swedish Minister of Culture and Democracy) inauguration speech.